Older Americans Act program backers are scraping for another year of funding. The importance of home life care support, not just home medical care support, came up Tuesday during a hearing on the Older Americans Act (OAA) funding renewal. The 1965 law funds many state and federal programs that serve the elderly, ranging from caregiver support services to long-term care (LTC) ombudsman services and state and local Area Agencies on Aging programs. 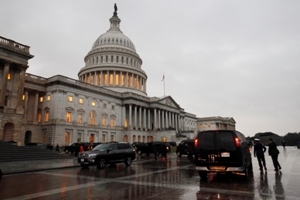 Authorization for most OAA programs ran out in 2011, and Congress has kept them alive with annual budget appropriations, according to the Congressional Budget Office. Congress provided $1.9 billion for the programs for 2014. Lynn Kellogg, a witness at a hearing on OAA funding renewal organized by the House Education and the Workforce Committee, said one important point for elder care policymakers to remember is that doctors, hospitals and other health care providers may be trying to increase their role in trying to coordinate care but often have a limited understanding of what frail and disabled older people really need. Health care providers often look at home care through a “medical lens” and think about the need for follow-up care for people who have been hospitalized, Kellogg said. In the real world, “many people need assistance without having a presenting health issue,” Kellogg said. People trying to help keep older people in their homes, and out of expensive LTC facilities, should try to work with existing services, including Area Agencies on Aging, and not try to reinvent the wheel, or come up with programs that neglect matters such as eating and shopping, Kellogg said.